CLAYTON, NC – The Clayton Bootleggers have released their schedule for the 2016/2017 season. 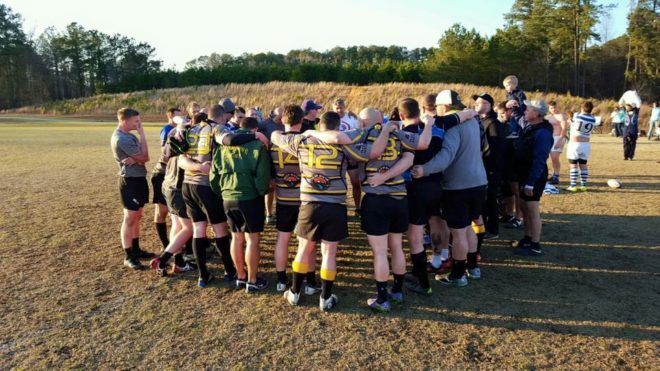 The schedule includes matches for the Bootleggers in both Division 3 and Division 4 of the Carolinas Geographic Rugby Union. The club is one of only three clubs in the CGRU with squads in two separate divisions which will test the depth of the club. The Clayton D3 squad has been placed into the Carolinas North Division along with 2015/2016 CGRU D3 Runner Up Chapel Hill, Cape Fear, Camp Lejeune, and Fort Bragg. The D4 Bootlegger divisional opponents include Southern Pines D4, Charlotte Nomads, Cherry Point, Raleigh Old Boys, New Bern, Duke Grads, and Wingate. The Bootleggers open up their new campaign with a pre-season warm up match against ECU on August 27th. The match has become an annual fixture for the club which has built ties with the Pirates. The Bootleggers then dive into their CGRU matrix play after Labor Day. League play runs through the middle of November before breaking for the holidays. 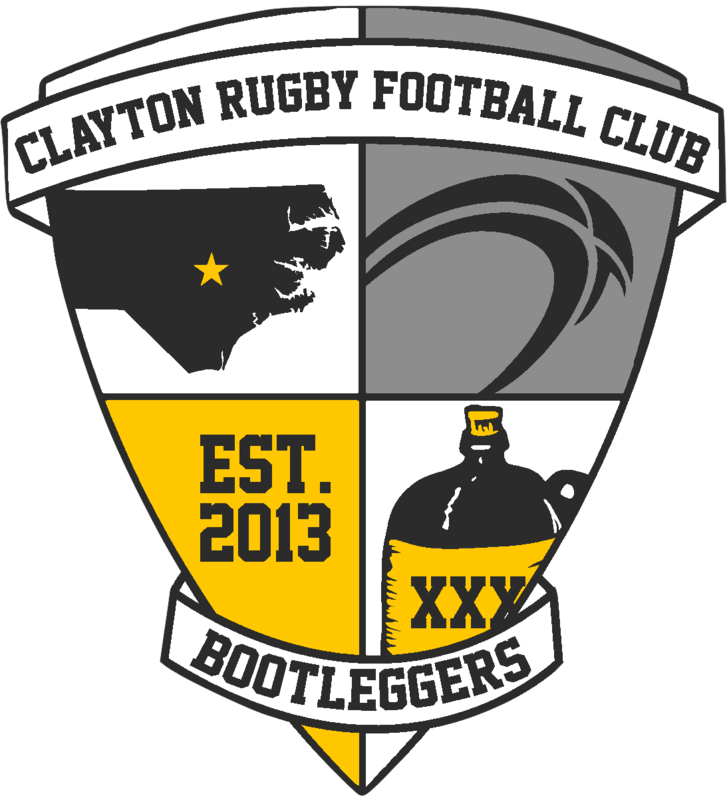 Clayton hosts their 2nd Annual Bootlegger 10s on November 26th which serves as the cap to the Fall for the club. The second half of the season kicks back into gear in early February with a D3/D4 doubleheader at home against Southern Pines. March sees the Bootleggers return to Savannah for the St. Patrick’s Day Tournament with a plan to field teams in both the Men’s Division and in the Old Boys Division. The men also finish up their D3 and D4 schedules in early April with the hope of qualifying for the CGRU Playoffs that take place the remainder of the month. The club also hopes to sneak in a couple games for their Old Boys aside from taking the group to Savannah. The Bootleggers open up their 2016/2017 season on August 27th. The club would like to thank all of our family members, fans, partners, and sponsors for their continued support. The 2016/2017 sponsors of the Clayton Bootleggers include Deep River Brewing Company, Clayton Chiropractic, Orthopedic Specialists of North Carolina, Crossfit Clayton, and Ruck Science. Founded in 2013, the Clayton Rugby Football Club is a men’s rugby program located in Johnston County, NC. Since starting with just seven players, the club has grown to almost 50 players. The club has a family friendly culture with a focus on community. The club currently fields three teams in XVs with competitive, developmental/social, and Old Boys as well as a 7s team during the Summer. Players looking to learn more about the club or join are encouraged to contact us at claytonrfc@gmail.com. No prior experience is necessary.